Do you want a way to set yourself apart from the crowd and show employers that you’re creative as well as organized? 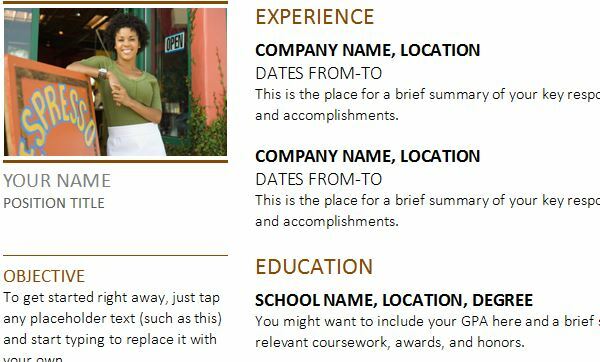 The free Photo Resume Template can help you do that in a few simple steps. After downloading this free resume template you can start to edit and customize the sheet to fit your own needs and your unique set of skills in a completely visual way. 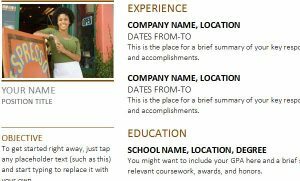 This template allows you how to create a sheet that have your personality and flair right on the page, along with all the essential information that a professional resume needs. To get started today, just follow the set of directions below. 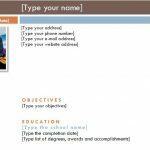 You can download the Photo Resume Template by following the link below. The next step is to go through the information listed on this template and replace it with your own. The document is a Word file so you’re probably already familiar with how to change and edits things. Just highlight the text you want to change write something new. The left-hand column of the template allows you to enter your objective (what you want from your position), your skills, and your contact information. The right-hand column is for your work experience, education, communication experience, leadership skills, and any references you want to leave. When you finish going through all this information, you can choose your own photo to sit at the top of your resume. We recommend choosing a professional and well-balanced photo like the example featured in this template. You can change the picture by right-clicking the image and choosing the “Change-Picture” option. This will allow you to select any image from your computer. All that’s left to do is add your name and the position you’re seeking below your picture. 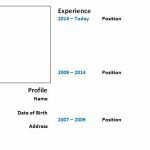 You can print your new Photo Resume Template by clicking “File” then “Print” above.